2.2 #2. 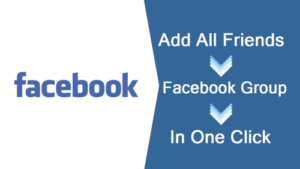 Add All Friends To Facebook Group At Once. 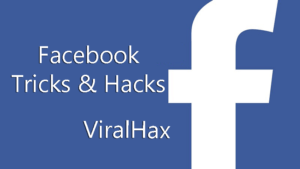 Facebook Tricks And Hacks 2019: Hello guys, welcome to viralhax, how are you? i think you are fine 😛 , Guys Nowadays Facebook is the best social networking website which is started on February 4, 2004 by Harvard College student Mark Zuckerberg, it developed in open source php language. Mark start Facebook for connecting peoples online, it’s also preforming a big role to discover new friends online, nowadays which person is on web, that means his also on Facebook 😛 , Lots of peoples use Facebook for fun and entertainment, and some use for business, Facebook is the only place where you find your all family members, old school friends, girlfriends etc online, and lots of peoples also make money by this amazing website. You know every people on FB, but some peoples want to make more fun with it, so they find for Cool FB Tricks on google, but some website owners provide fake tricks on their websites for increasing website traffic and make money via Google 😀 . 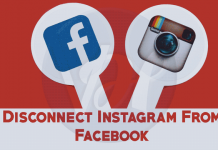 But guys today in this article i will provide you lots of working Facebook tricks and hacks 2019, which can help you to make more fun with Facebook, so you can try below given New FB Tips and Tricks 2019, You can do something different after reading this article For Ex- Facebook not allow to make your name invisible, but in this article we provide you Best Facebook tricks and hacks 2019. Many peoples feel boring while commenting, liking and posting on facebook, they will try to do something different to shocking their friends on online, but they have nothing special 😛 , If you also need some cool Facebook secretes ? don’t worry today you are at right place, because in this article we will share some awesome Best Facebook tricks and hacks 2016. Which made you cool and special on Facebook. So let’s start sharing. Legally FB not provide you to make your account name single in some countries like India, so peoples see some others countries FB users name single, and they also want to make their Facebook name single. 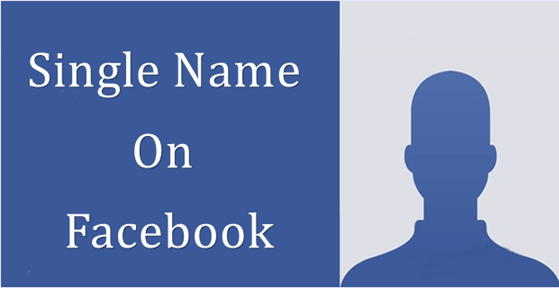 So now we give you some simple steps to Make Single Name Account On Facebook, you need to follow below given short guide to apply the simple and easy trick, so let’s start. Log out your facebook account from chrome, if it already open. Now download Hola VPN from play store. Then open Hola VPN and change your country as Indonesia. Then go back and open general settings in facebook. Click on save, it will ask your password, enter the password and end the process. That’s it, you’re successfully make your facebook name single. And finally disconnect the VPN. You need chrome browser also in pc method. Logged out your FB Id. That’s it, you successfully make your facebook name single. These was the simple and very easy ways for android and PC both users, i think it’s too easy for all users, so you can apply above given amazing trick, and make lots of fun on facebook, because mark start it for connecting peoples online and make fun on the web. i hope you liked above method 😀 . #2. Add All Friends To Facebook Group At Once. Guys if you are old FB User then you already know about groups and pages, so some peoples create a group for a purpose, and they want to add their all friends on the group, but when you start adding your friends in a facebook group, then it not has any option to select all, means if you want to add 5000 friends! then you will complete the process in upto 3-4 hours, but today i have a simpe trick to Add All Friends To Facebook Group At Once. You need to follow below given easy steps to apply this trick on your account. there are 2 methods to apply this trick. According to facebook terms and policies, you can’t add more than 800-1000 friends in a group in single time, so if you use below given tricks! you will need to stop the trick, when adding 800 members successfully, if you can’t stop! then facebook block you to add members in group till 15 days. So i am not responsible for any type of blocking. But my methods are 100% working. First of all you need chrome browser. Then Download Social Media toolkit For chrome web browser. Now open and click on the toolkit icon on your chrome browser. Then find for group adding tool. Now it will ask your group id, you can find a 15-16 digit number in your group url (link). Then it show extracting friend list successful. Now click on add members button, and it will start adding your friends in the group. Open chrome / firefox browser. Now Login your FB Id, and open the group, which you will need to adding members. Then Press – F12 key. You need to copy the script from Here. And paste it on console. And hit enter. It will add your all friends in the facebook group. So guys these are 2 methods to Add All Friends To Facebook Group At Once, i hope you liked above method. 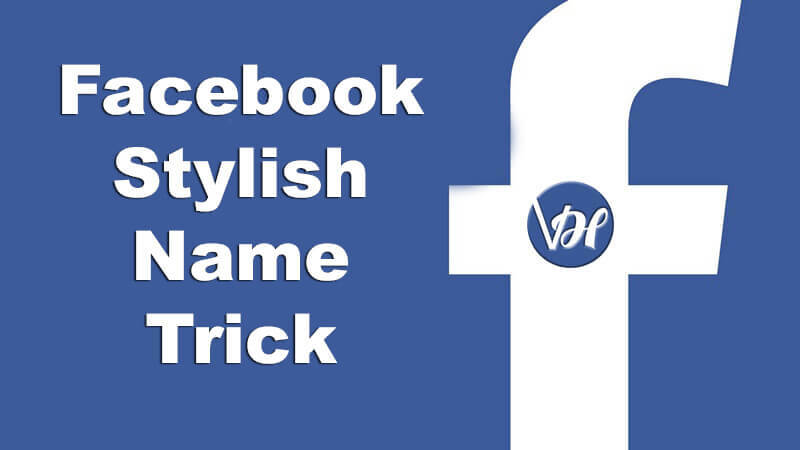 Guys nowadays lots of peoples make fun with this awesome facebook hack, but most of people’s not know about the trick, so today i am going to share the Facebook Ghost ID Trick which can make your FB ID Name Invisible, so if you also want FB Invisible Name Trick? Then follow below given instructions. First of all open google chrome browser in android mobile. Then Download and Install Hola VPN In android device. Now open the App and set country as Indonesia. Then open the chrome application and Login your FB Account. Now go to FB Settings and change the language to Spanish. Then go back in general settings. And enter the text in first and last name option. Then click on save, and enter the password for complete the process of name changing. That’s it, you are successfully make Ghost Name FB ID. Now go back in language option. And change your language in English US. And Disconnect the VPN application. Guys above we share the method for android phone users, but some users not have android mobile, so we also share the trick for windows PC/ computer/ laptop users, you can also use below given method in mac OS, and it’s also too easy like android, so let’s start. 😀 . Open Chrome/ Firefox browser in your computer. Now go to network settings in your browser. Now open Hidemyass.com or Proxynova.com and find any Indonesian proxy. Then set the proxy in your browser settings. Then open facebook.com and login. Then go back and open FB general settings. And enter the text in first and last name input option. Then click on save, and it will ask for password, then enter the password for complete the process of name changing. That’s it, you are successfully make Ghost Name Facebook ID. And go to browser settings and remove the proxy. 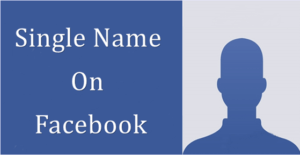 These was the simple and easy methods to make Facebook id name Invisible, you can use this trick by using your android mobile and Windows PC both, if you also want to do this thing, then apply the above given steps carefully. This is my favorite trick, because you got more likes in FB page by using this trick, Means if you have a FB Id then you can convert your FB Id into page, and the best part of this method is that, your Facebook Account will be safe, means if you have a Fb Account with 5000 Friends, then you can make your page with 5000 likes 😀 without lost your account. Nowadays most of users apply the trick, but you need a windows PC for apply the method. Now we are going to share the Method. Open chrome or firefox browser in your windows computer (i will recommend you firefox). Then login your Fb account. Then select the category, Name, Address. And Click on Next Button. And Click on next and finally click on finish. Congratulations 😀 you got 1000 likes in your new page. Now if you back again the page (friends select page)! then follow the next step carefully. You will need to open www.facebook.com/your-page-url/profile_tools/, replace your-page-url into your page url. And you will also show the converting page, then again follow the same steps and get more likes. If you select more than 1000 friends in same time, then chance to you not get likes in your new page, Maybe it is spam in according to Facebook terms and conditions, and the best part of the trick is that, you can change page name or category according to your choice, means you can make page for jokes and your business also. Nowadays facebook block lots of accounts in their database, because lots of users make fake id in FB, So if you also facing blocking issue, then follow below instructions to unblock Facebook Account, their are 2 type of blocks, 1st is temporarily block and 2nd is gov proof block. Here we provide solution for both blocks, so you need to follow below given instructions to unblock your facebook account. First of all open your chrome browser in windows PC. Log out your FB ID if is already logged in! Now log in your Temporarily Block Facebook account. It will ask you to verify your account by phone number or DOB. 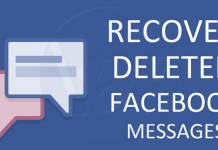 Complete the easy process, and unblock your Temporarily Block Facebook account. So guys these are some latest Facebook tips and tricks 2019, i hope you liked this tutorial, If you have any other Facebook hack! then please share your trick in comment section, we feel proud to share / add your trick in our article, and if you facing any type issue and problem while using above tricks, and if you have any question or query about above given article, then you can ask your problem’s solution in comment section. We are always ready for help our visitors. Tamil language fb pe h hi ni bhai …. jis name me id ka name show nhi hota vo ghost id hoti he.